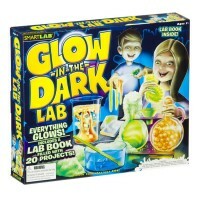 Experiment with making a giant bouncy ball that glows in the dark! 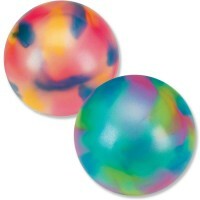 Children love playing with the bouncy balls. 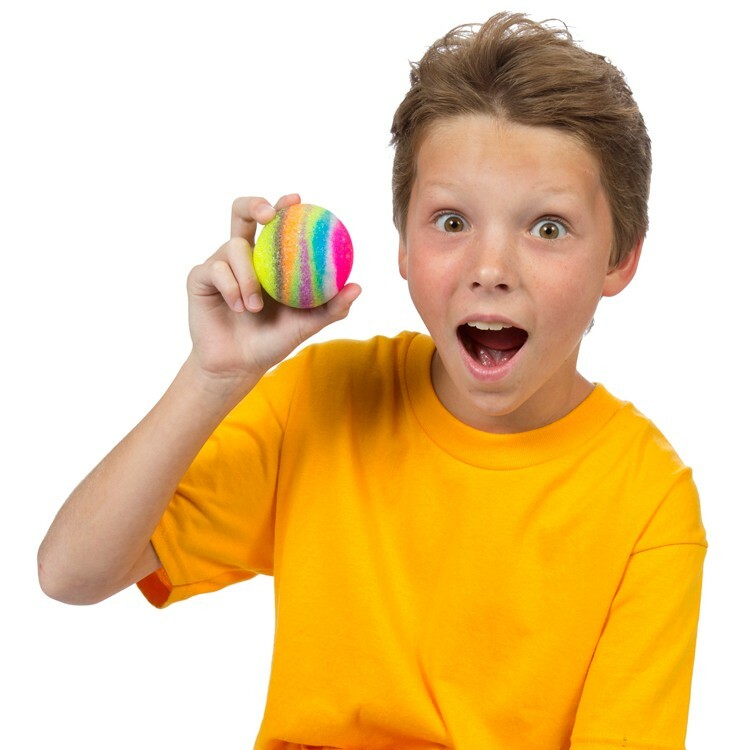 They will like even more to make their own! 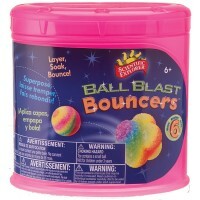 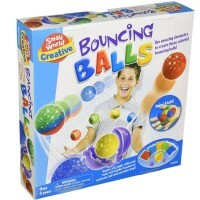 And moreover, now they can experiment with making glow-in-the-dark super-sized bouncy balls! 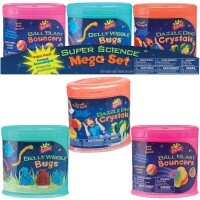 Mega Glow Bouncy Ball Making Kit by Scientific Explorer includes everything your playful scientist needs to craft his or her own colorful bouncy balls. 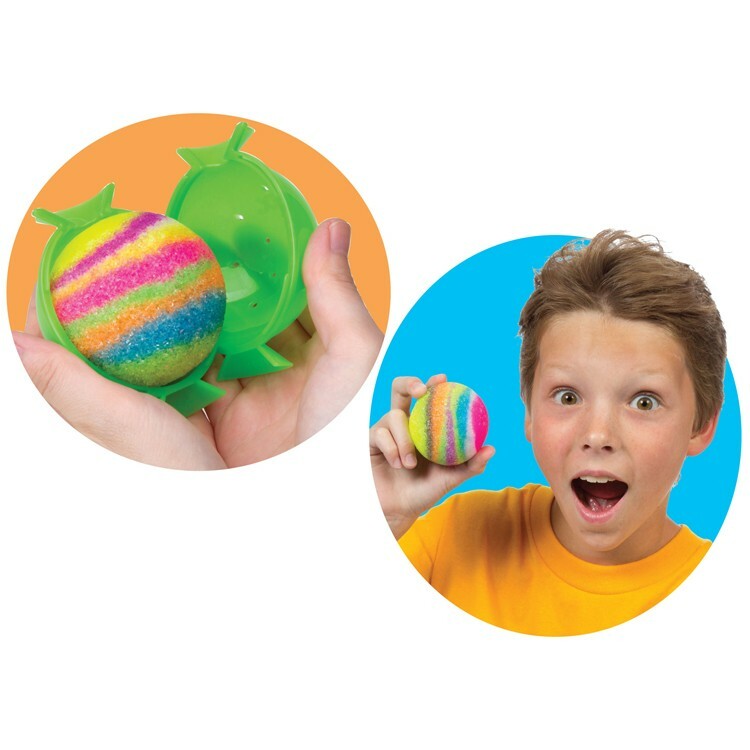 This fun science kit comes with different colors to layer into a multicolored giant bouncy ball that will also glow in the dark! 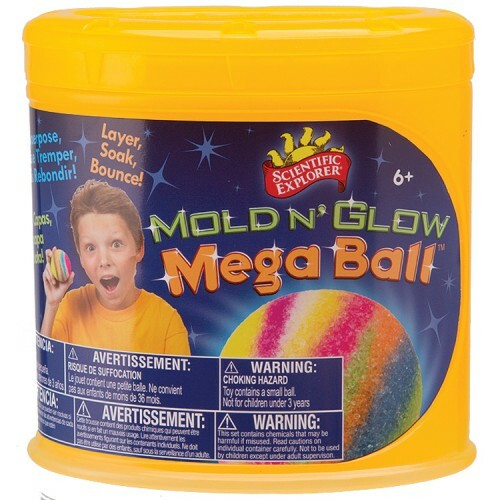 Mega Glow Bouncy Ball Making Kit features giant ball mold, 6 packs of glow in the dark ball powder, resealable bag and detailed instructions! 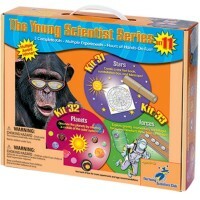 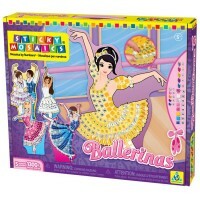 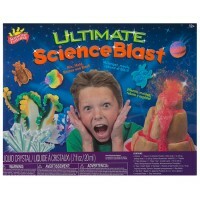 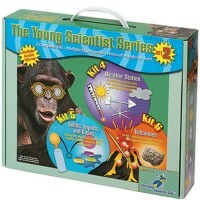 Educational Toys Planet recommends this concoction craft kit for all creative young scientists! 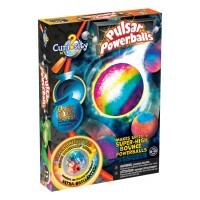 Write your own review of Mega Glow Bouncy Ball Making Kit.